Mary Ann, this is soooo precious. Keep in mind that in the future your child, or grand child will go through your albums, and will cherish the memories of those before him, or her. You make me take conscience of how precious it is to keep memories. I am sorry for your loss. Love this Mary Ann!! 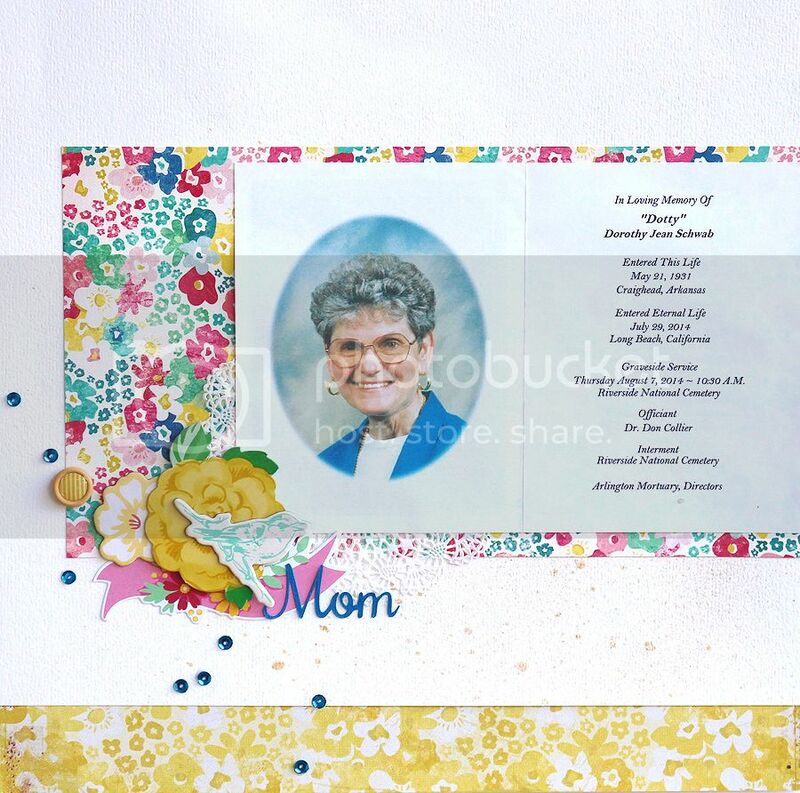 Such a beautiful layout, to remember your mom by!! Mary Ann I am so sorry for your loss. I think it's great that you preserved this keepsake for future generations. I am so sorry about your mom. I have kept the programs from my dad's, mom's, and sister's funerals. Now I need to get brave enough to scrapbook them. This is yet another, beautiful layout.